It’s time for professional web designers to take a stand against DIY website creators, programmers and to be take full control of their design projects from start to finish. Presently, when a business allocates their design budget more than 70% of this paid to someone to manually write code. On the flip side, just a mere 3% of websites published are being produced from lackluster DIY website creators. Where does this leave the professional web designer? As a designer you finally have a reason to smile as we finally see a site builder that has exclusively been developed for the designers. Webydo isn’t an average website builder but a complete ecosystem that allows you to design, manage and publish a website. This platform has been developed by a team of designers who were tired of manual coding and didn’t find any suitable alternative in the market. It empowers you by providing you with a code free design environment where you can experiment with your creativity without worrying about coding. The patent pending technology automatically converts your design into W3C compatible HTML codes. Plus, designers can create a responsive website with full cross browser capabilities. Before getting started you are greeted with the professional option of every designers dream – a blank canvas. 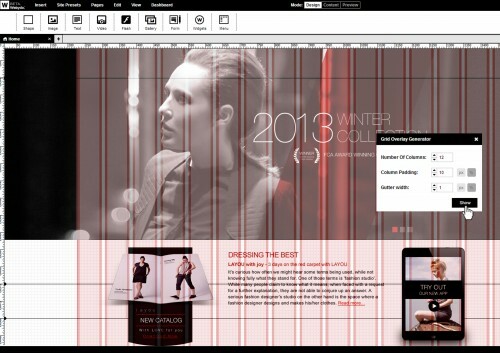 Getting started from a white sheet to let your visions run wild is exactly what Webydo allows you to do. If you are feeling like you need a little assistance, you can pick the layout options where it is quick and easy to adjust colors, galleries, text, add features, and more or you can take inspiration from one of the readymade options to alter the design to fit your vision. Design – As a designer nothing excites you more than turning your vision into reality and you will love Webydo’s Design Management System. It allows you to create any kind of website including forums and ecommerce websites. 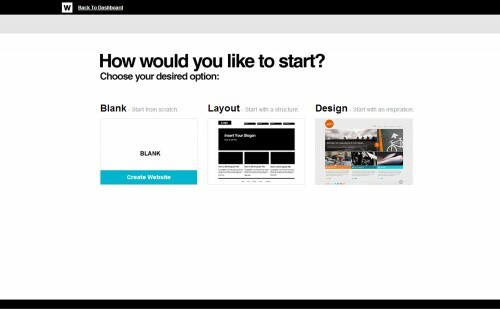 To start with you can choose between a blank canvas and wide range of templates. Also on offer are Photoshop like features and a grid structure that allows you to achieve pixel perfect accuracy in your website. You can also make use of the drag-and-drop editor that allows you to easily insert images, texts, videos, flash, galleries, forms, widgets and menus in the site. Once you are done with the design, this professional online website creator will automatically convert it into HTML and a Content Management System. Management – The user friendly CMS allows you manage the content on the site easily. It works on the WYSIWYG principle thus allowing you to preview the changes that are being made on the site. Here you will be able to manage multiple websites from the dashboard thus allowing you to work on multiple projects at the same time. You can use the Site Permissions feature to lock certain design elements in the site thus preventing the clients from accidentally messing up with the design and structure of the website. You will also be able to optimize the site for the search engines using the in-built SEO feature. Apart from this you will also be able to integrate analytic features such as Google Analytics and Web Master Features that offer you real-time statistics regarding the performance of your website. Publishing – This is one of the most attractive features of this powerful online platform as it allows you to publish the site with ease. You won’t need to do any setup or fiddle with FTP or cPanel. You can host the site at the click of a button and it will be hosted on a cloud based server that offers you great performance. The site will be delivered through a network of global servers ensuring high uptime and great speeds. Webydo uses enterprise-level database security measures across the network to prevent hackers from disrupting the website services. It will also be backed up on a regular basis to prevent any loss of data in case of site crash. Pricing Plan – You have two plans to choose from – Free and Premium. 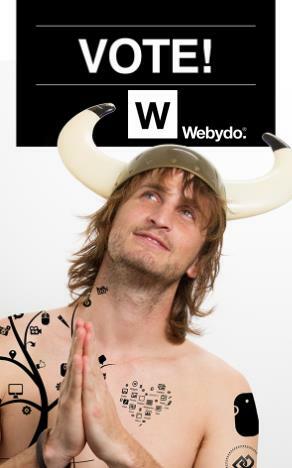 Under the Free plan the site will be hosted on Webydo’s sub domain. Here you get unlimited bandwidth and 1GB of storage space and can create up to 15 pages under this plan. The Premium plan allows you to host the site on your custom domain. You also get 2GB storage space and unlimited bandwidth and can create unlimited number of pages under this option. For the premium plan you will have up to 2GB of storage, unlimited page creation and around the clock customer service, the premium plan is valued competitively at $7.9/ month (billed annually) and $9.9/ month (billed biannually). Webydo is by designers, for designers which is why the future of Webydo’s features is being voted on daily by the over 30K designers community. Where? Right on the Participate page, where you too can add your comments and submissions there as well.